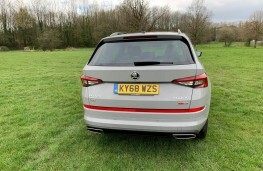 By Maxine Ashford on 2019-04-14 - Maxine has been a journalist since the late 1980s and for the past 13 years has specialised in motoring. Former motoring editor at Media Wales responsible for the Western Mail, South Wales Echo, Wales on Sunday. Freelance since 2009, Maxine loves cars but not quite as much as rugby! 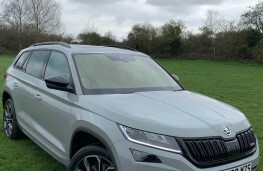 ONE glance in the direction of the Skoda Kodiaq vRS will confirm it's no ordinary seven-seater. 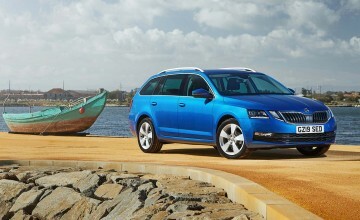 That's because it boasts vRS styling and badging along with performance capabilities to match. 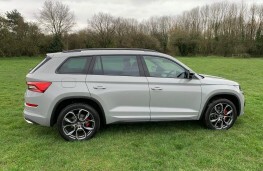 In fact, this particular family SUV recorded the fastest lap time for a seven-seater around the Nurburgring. 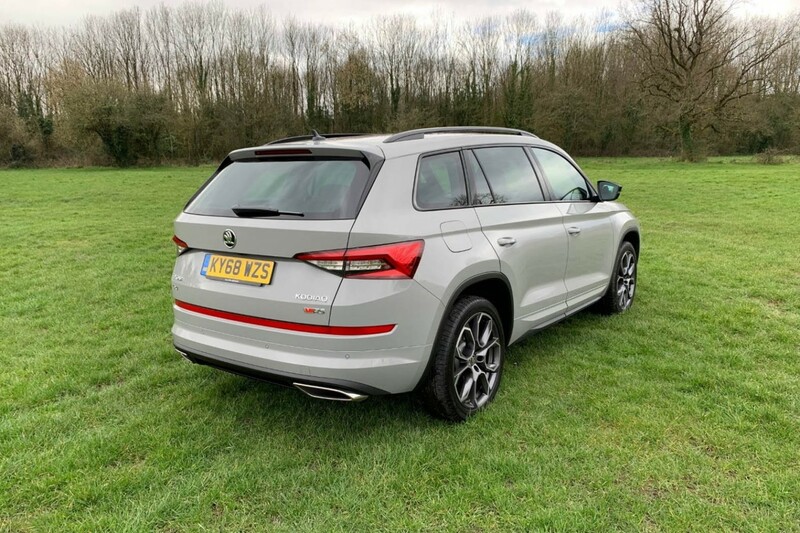 It's powered by a biturbo 2.0-litre TDI diesel engine delivering 240ps and 500Nm of torque through a seven-speed DSG automatic gearbox and four-wheel-drive system. 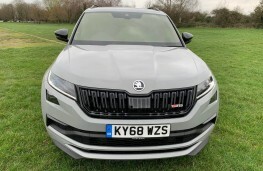 And all those figures translate into an impressively quick 0-62mph sprint time of just 7.0 seconds and a top speed of 136mph. 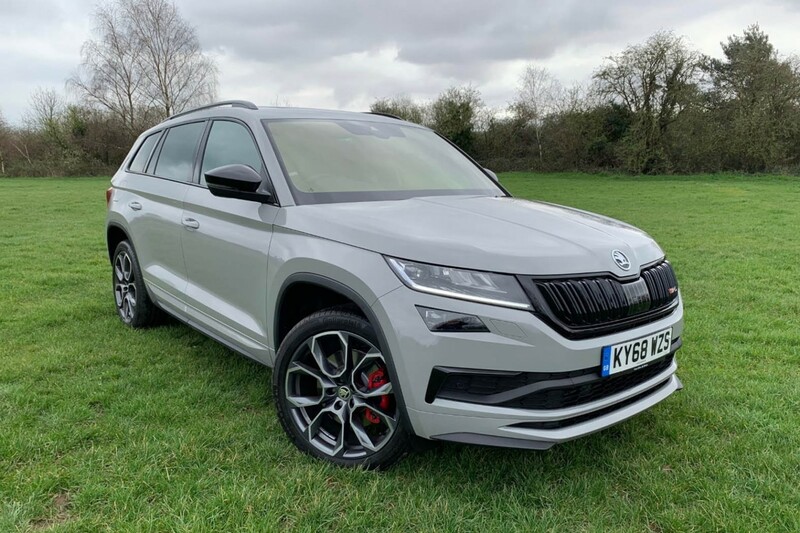 The Kodiaq vRS certainly looks the business too with gloss black finish on the grille and mirrors, vRS sports bumpers, red brake calipers, dual exhaust pipes, vRS badging and 20-inch Xtreme alloys. 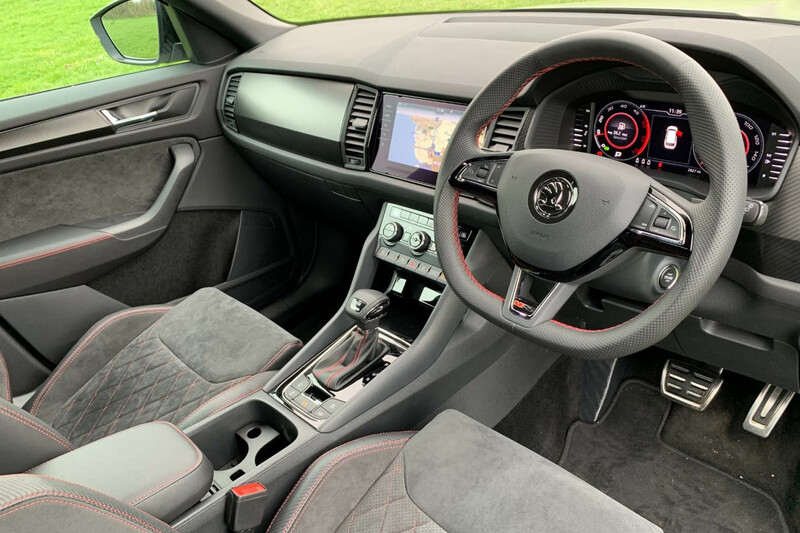 Move inside and the cabin is beautifully designed with soft touch surfaces, a carbon finish to the dashboard and doors inserts, metal pedals, black rooflining and figure-hugging Alcantara trimmed sports seats finished with contrast vRS stitching. 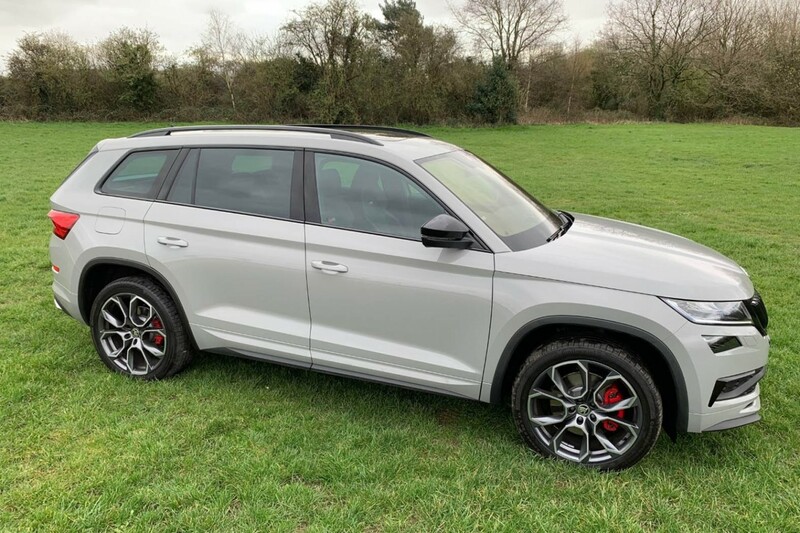 Optional extras on this car included a panoramic sunroof, a three-spoke leather, heated, sports multi-function steering wheel with DSG paddles and power-adjustable front seats with memory settings. 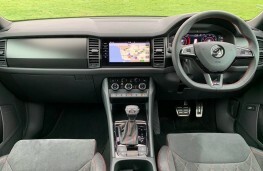 And the level of on-board technology cannot fail to impress either with the likes of full smartphone connectivity via MirrorLink, Apple CarPlay or Android Auto, a Columbus navigation system with 9.2-inch touchscreen, DAB radio, dual zone air conditioning, a rearview camera and an In-Car Communication system that makes it easier to chat with second and third row passengers via the speakers. 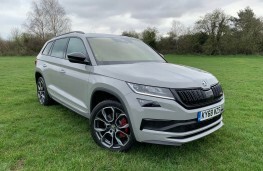 Comfort levels are excellent and the Kodiaq vRS is the first Skoda to feature a fully digital Virtual Cockpit display. This system has a special Sport view whereby the speedometer is positioned in the centre of the display. 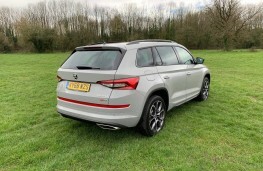 But all this technology and the outstanding driving dynamics don't exactly come cheap. 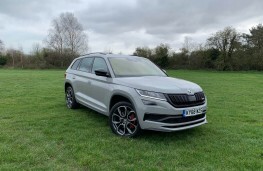 The Kodiaq line-up starts at Â£25,770, but the vRS model costs Â£42,870 and that's before any optional extras are factored into the final price. 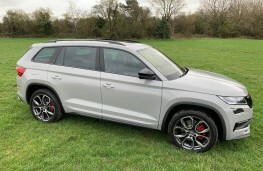 The running costs are as you would expect on a performance SUV with combined fuel economy rated at 35.3-34.0mpg (WLTP) and carbon emissions of 167g/km. When it comes to performance, the Kodiaq vRS ticks all the boxes. Those vast reserves of torque are the highest figure ever delivered by a production Skoda and that means there is seemingly limitless power as and when you want it. Just the slightest pressure on the accelerator and away you go. 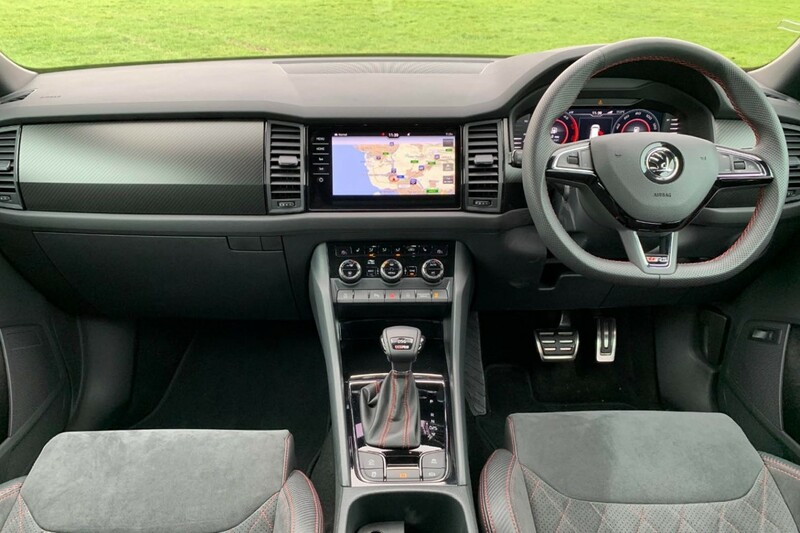 There are steering wheel mounted paddles so you can control the gear changes and various drive modes called Eco, Comfort, Normal, Sport, Individual and Snow alter the way the car handles. 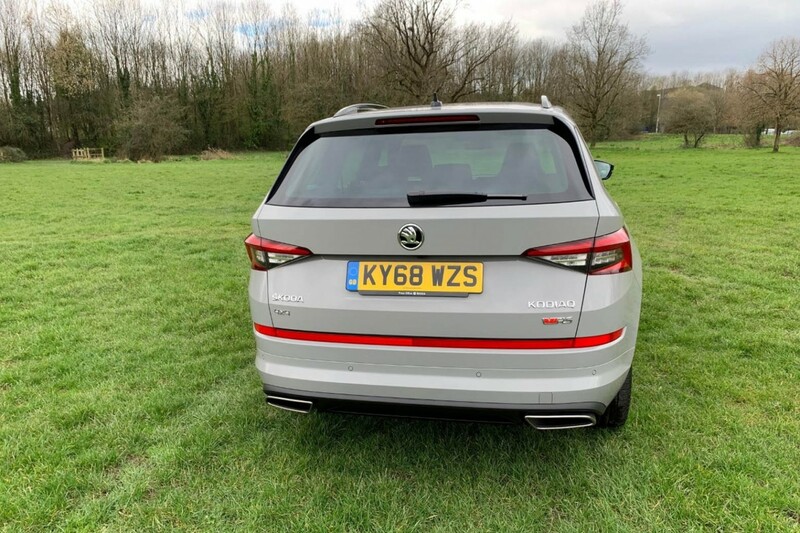 They also adjust the sound levels because the Kodiaq vRS features a Dynamic Sound Booster that compliments the natural sounds of the exhaust. 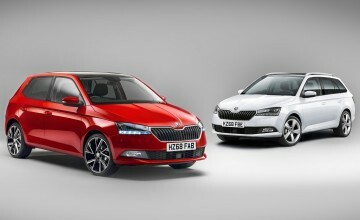 So, in Comfort and Normal there is a fairly gentle note, switch across to Sport and it all becomes a lot more boisterous. 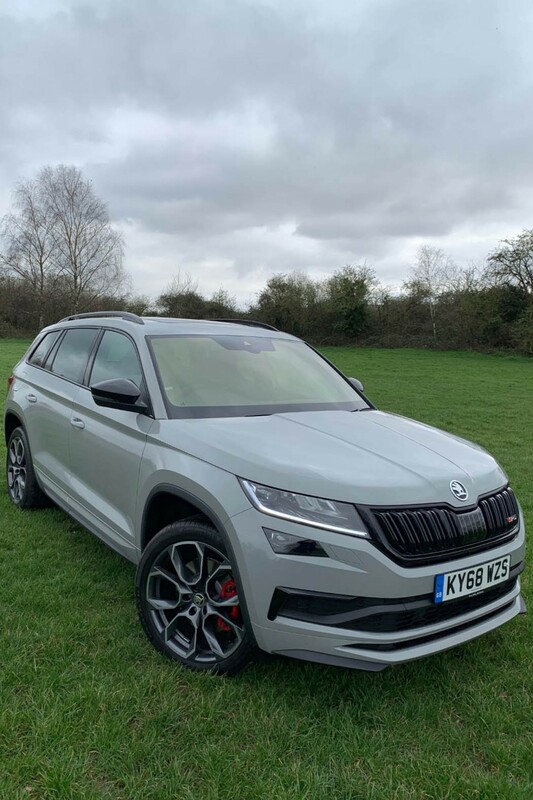 On sweeping country lanes, the Kodiaq vRS grips the road confidently with the Dynamic Chassis Control adjusting the car's suspension to match the driving style and terrain. 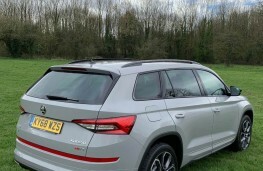 Then on fast-moving motorways, the vehicle effortlessly eats up the miles cruising comfortably at 70mph. Meandering through town centres is made easier thanks to the car's progressive steering set-up that means less effort is required to turn the wheel at slower speeds. 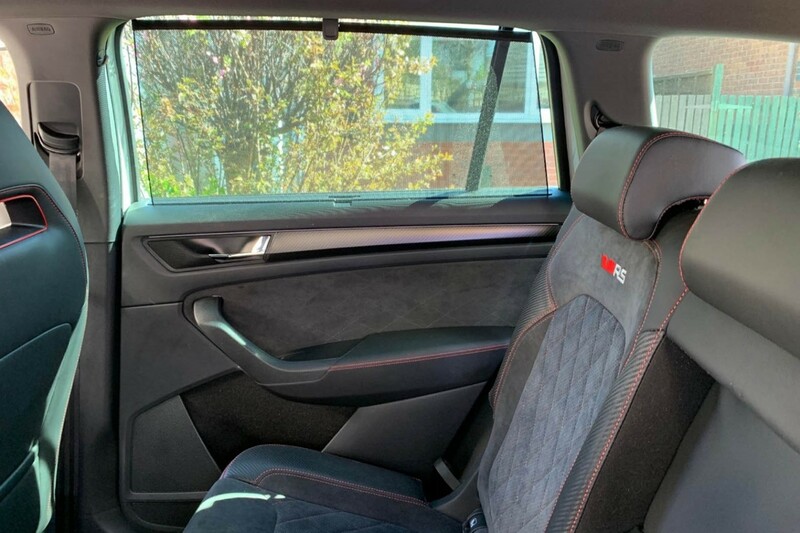 The high seated driving position results in excellent all round visibility and the car is a very practical choice too as it genuinely caters for seven occupants, although the pair of rear seats are only suitable for children. 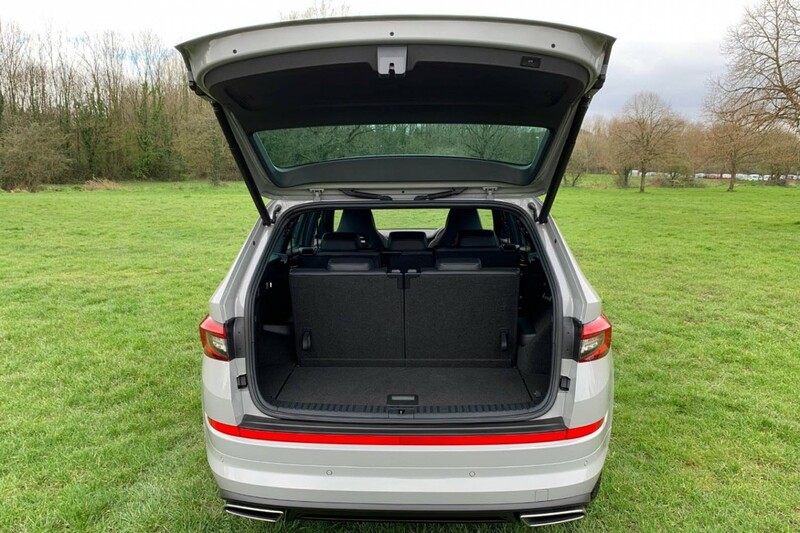 There are no luggage restrictions for passengers either as the boot can swallow a whopping 1,950 litres of kit with the seats in rows two and three dropped flat. 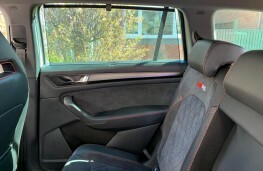 If all seats are in use, the limit is still a respectable 230 litres. 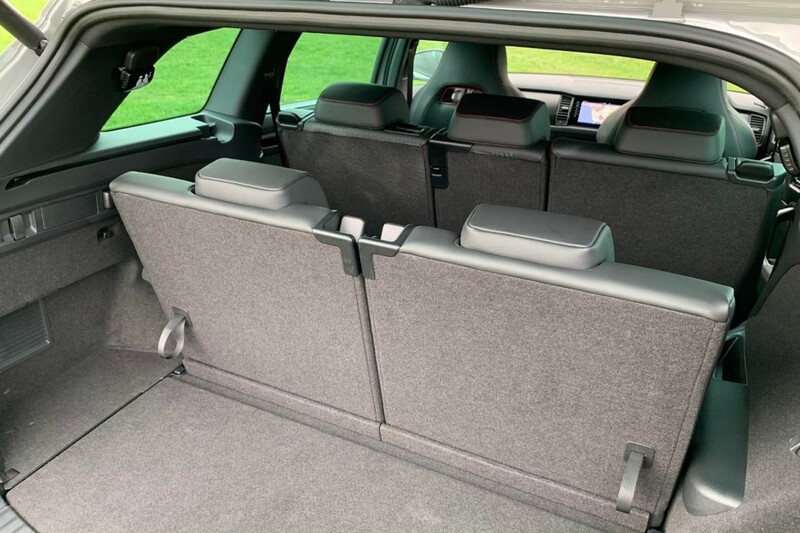 Alternative storage options include a double glovebox, front and rear cup holders, deep door bins, a covered central compartment and nets in the boot to prevent items rolling around. On the downside, the front cup holders are not that practical. They can safely hold a tin of pop, but introduce a larger travel mug or bigger bottle of water and they won't fit. But that was my only slight gripe. 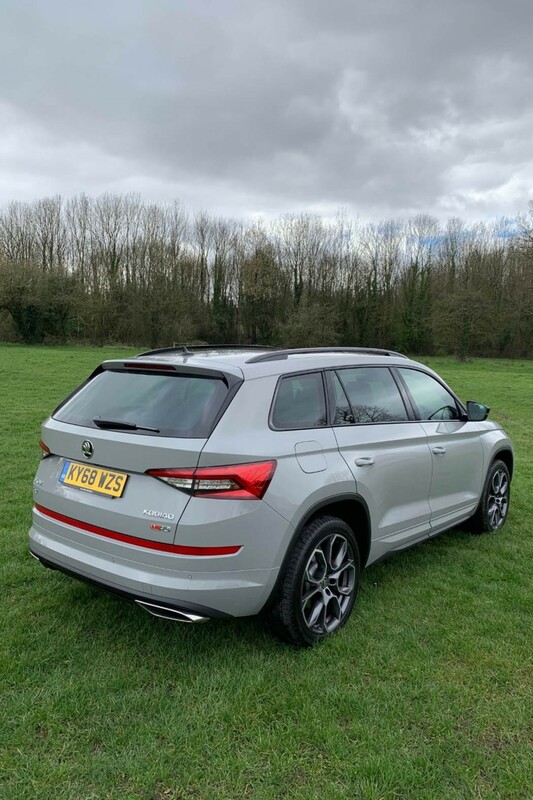 And with a wealth of safety systems as standard, the Kodiaq vRS is quite the package.